Rabbi Judith Hauptman has also been a pioneer in the area of equality of opportunity for women in Jewish life. She was a member of Ezrat Nashim, the group of women that issued in 1972 the first feminist critique of Judaism. Since then she has lectured widely on the subject and written many articles. Her most influential one is entitled, “Women and Prayer: An Attempt to Dispel Some Fallacies,” (JUDAISM, Winter 1993). In it she argues that women have always had an obligation to pray and for that reason can count in the quorum (the minyan) and even lead it in prayer. Her book, Rereading the Rabbis, A Woman’s Voice, has been called one of the founding works of the new Jewish feminism. In this volume she shows that the rabbis of the Talmud, some 1500 years ago, modified many legal institutions, such as marriage, to improve women’s legal and social status. As a result, by the end of the Talmudic period, women were no longer viewed as chattel but as second class citizens(! ), a considerable accomplishment. Her other two books trace the evolution of the text of the Mishnah, the Tosefta, and the Gemara. In March 2014, Rabbi Hauptman taught a Talmud class at the Knesset library in Israel. A graduate of Brown University, the Ramaz Upper School and the Westchester Day School, Josh Gorfinkle has been serving as Ohel Ayalah’s main cantor since 2007. In his spare time, he loves to play and watch tennis. He attends the US Open every year and even made a pilgrimage to Wimbledon several years ago. He loves the results he gets from working out. Occasionally, he spends a day at the racetrack. He has been to Aqueduct, Belmont, Saratoga and Gulfstream Park. Josh has been leading services frequently, since even before he became a bar mitzvah in 1984. For the past two High Holy Days, he has led services at the Montefiore Medical Center in the Bronx. In prior years, he led High Holiday services at Brown University, Queensboro Hill Jewish Center, Westchester Jewish Center, Cong. Anshe Sholom, and the United Hebrew Geriatric Center in New Rochelle. He also is an avid reader, especially of biographies. The next book on his reading agenda is about Nixon and Kissinger. He worked as a library clerk for three years at the Jewish Theological Seminary, essentially serving as the library’s receptionist while working at the circulation and reserve desk. He also worked at the Ramaz Upper School Library for two years. Rabbi Pamela Barmash grew up in Queens, went to the Bronx High School of Science, thinking that she would become a scientist, but along the way, she fell in love with Jewish prayer and study. 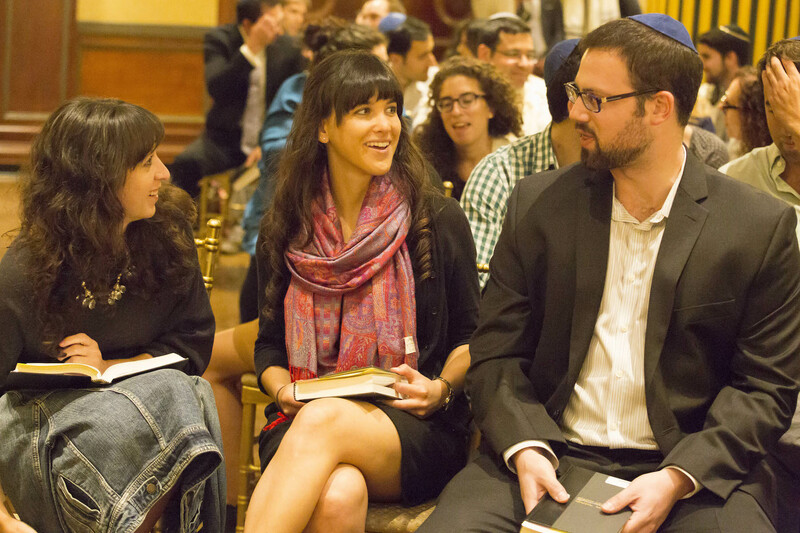 She is dedicated to teaching and spreading the joy she feels in Jewish living and learning. She served as a congregational rabbi in Norwood, Massachusetts, for eight years, and she is a professor of Hebrew Bible at Washington University in St. Louis. She served as director of Jewish, Islamic, and Near Eastern Studies there, and she advises a Muslim-Jewish student dialogue group. She taught at the Conservative Yeshiva in Jerusalem for many summers. In her free time, she travels and does nature hikes (and has been to all seven continents), is a fan of classical music and tries to play the cello. She received her B.A. from Yale, rabbinic ordination from the Jewish Theological Seminary, and Ph.D. from Harvard. 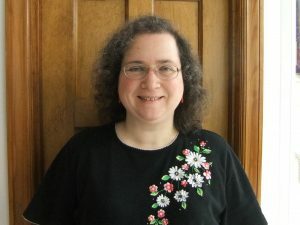 She is a member of the Committee on Jewish Law and Standards and of the Joint Beit Din of the Conservative Movement, and she is co-chair of the new Disabilities Inclusion Committee of the Rabbinical Assembly. 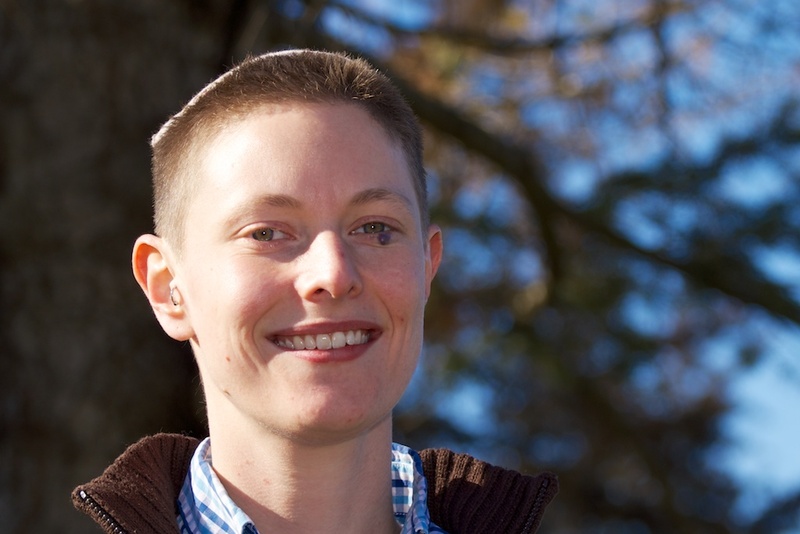 In her rabbinic writing, she wants to inspire more Jews to observe more mitzvot, and she is the author of teshuvot (rabbinic papers) on the eating of veal, the deaf who use sign language, and women and mitzvot. In her academic scholarship, she addresses issues of law and justice in her book Homicide in the Biblical World. She shows how Jews have transformed the story of the Exodus and the celebration of Passover to meet changing needs and concerns in Exodus in the Jewish Experience: Echoes and Reverberations. Rabbi Hannah Greenstein currently serves as the Vice President of Outreach, Israel and Overseas for the Milwaukee Jewish Federation. 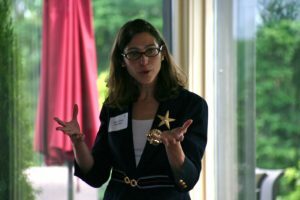 Prior to re-entering organizational work, Rabbi Hannah served in two congregations, the Jewish Community Project in Tribeca and Congregation Beth Israel in southern Maryland. Rabbi Hannah’s professional work focuses on outreach and out-of-the box Judaism. She has worked at the JCC of Manhattan, the 92nd Street Y, the Jewish Reconstructionist Federation and at the Jewish Outreach Institute, an organization which advocates for a big tent approach to Judaism. Rabbi Hannah holds a BA in Jewish Studies from the University of Pennsylvania, a Masters in Education from the William Davidson Graduate School of Education and Rabbinic Ordination from the Jewish Theological Seminary. 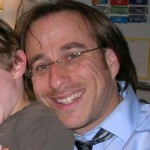 Rabbi Micah Buck-Yael serves as the coordinator of community chaplaincy with the Jewish Family & Children’s Service, where he works to provide personalized support and meaningful connection for individuals throughout the St. Louis Jewish community. His work takes him to hospitals, nursing homes, group homes, private residences, and many other unexpected places! He educates and advocates throughout the community on issues of justice, access, and welcome for the full spectrum of human diversity. He is particularly passionate about work for racial justice, disability justice, and LGBTQ justice. In his free time he enjoys camping, trying to make things out of clay, and cooking. Originally from Washington DC, he studied Islamic and Near Eastern Studies at Washington University in St. Louis, fell in love with the Midwest, and made St. Louis his home. He holds an MA in Talmud and Rabbinic Literature as well as Rabbinic ordination from the Jewish Theological Seminary in New York. He has previously served in a variety of positions in the St. Louis Jewish community, including the Solomon Schechter Jewish Day School, Barnes-Jewish Hospital, and St. Luke’s Hospital. Rahel Lerner has served as a High Holy Day hazzan in a variety of synagogues since she was a teenager. A graduate of Columbia, where she studied Hebrew and Irish literature, Rahel worked in the New York publishing industry from 2000-2008 and sang in the choir at Town & Village Synagogue. Upon leaving New York for Baltimore, she worked at Krieger Schechter Day School where she taught Hebrew, TaNaKh, Talmud, and electives in Jewish art and sewing. Rahel now lives in the Philadelphia area with her husband and two small children, and teaches Hebrew and tefillah at Barrack Hebrew Academy. She is particularly excited to spend the High Holy Days back in Manhattan with Ohel Ayalah. "I would not have gone to any services if I had not heard about Ohel Ayalah from my friend who lives in Brooklyn. We both felt we wanted to attend a service but didn't think we could because of not having an affiliation. We both enjoyed it more than expected (and remembered from our younger days)."